Sitting by an open fire, wine in hand, with vast vineyard views in sight. Doesn’t sound like a horrible way to spend a cold winters day, does it? You might not think the most ideal time to venture to Victoria’s wine regions would be in the frosty winter months, but we’re here to convince you otherwise. With fewer crowds and often new vintages ready to be released and available for tasting, it’s actually a pretty ideal time to be amongst the vines. One of our favourites all year round, Merricks Creek really heats things up in the winter time. 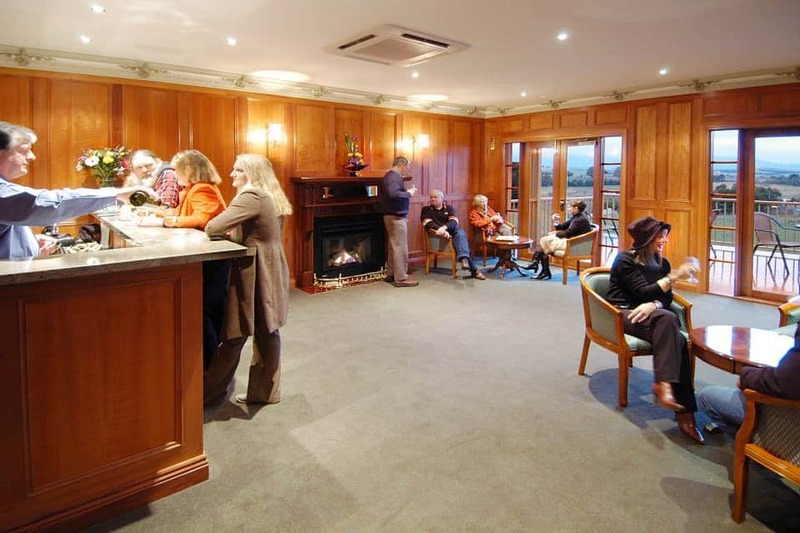 Enjoy lunch and a tasting by the fire, from their cellar door and restaurant which overlooks estate vines. With a few fireplaces scattered around the restaurant, every seat is the best seat in the house, especially if you’re tasting their premium range of Pinot Noir and Chardonnay. 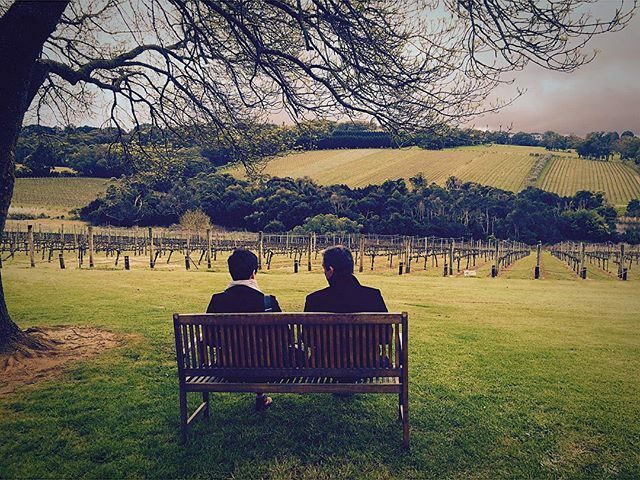 With fewer crowds in the colder months, why not take your time and let winemaker Peter Parker share his enthusiasm and passion for Pinot with you, as you taste through the range and feast on the best local produce the Mornington Peninsula has to offer. Nestled into a cliff-side of the Christmas Hills, this cosie little cellar door will make you feel right at home in an instant. Once you’ve said hello to Poppy and Freckles outside (the vineyard donkeys) take your place by the fire and admire the sweeping views over Steels Creek and beyond. Enjoy your wine tasting with some smoked cheese, olives and other goodies, prepared by the Yileena Park crew, made using old wine barrels from vintages gone by. 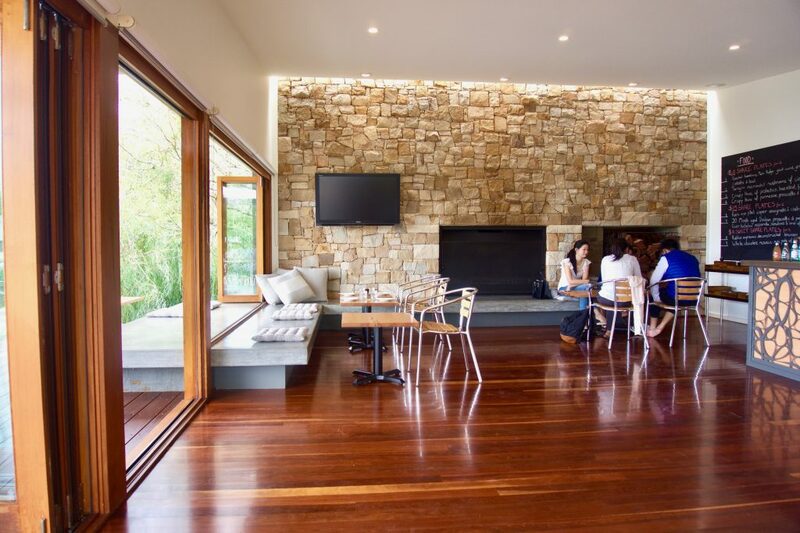 It really is the perfect spot to settle in and enjoy a wintery afternoon in the Yarra Valley. 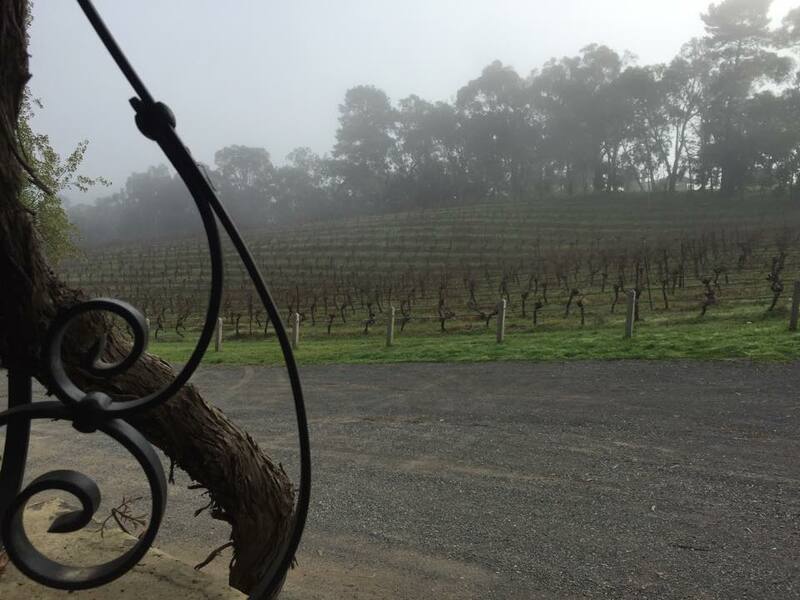 A real hidden gem, Kellybrook Winery and Distillery is perched on the slopes of Wonga Park, just on the outskirts of the Yarra Valley. 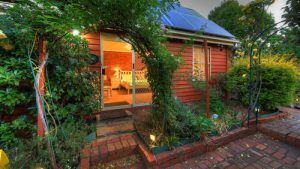 Walking into this cellar door feels a little like walking into a winter ski lodge, but small and inviting enough to make you feel more than welcome. 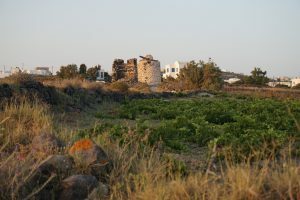 Wine, fire and sloping vineyard views aren’t the only drawcards here though. Kellybrook is one of the few cellar doors in the Yarra Valley that produces its own cider and beer. Our pick is the Traditional Method Sparkling Cider…a glass of bubbles by an open fire? We’ll drink to that! Read more about Winter Wine Tours.